This hydraulic torque wrench sets new standards in almost any bolting situation thanks to its outstanding properties including speed, accuracy, ergonomics and safety. 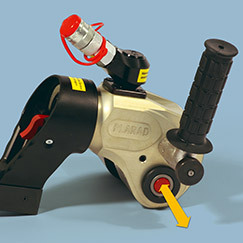 The reaction arm can be rotated 360° quickly and easily within a fine angular grid. The safety pawl reliably prevents inadvertent unlocking. 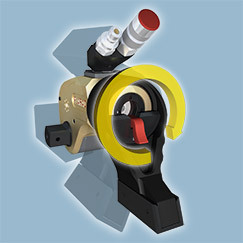 The quick-locking device allows for quick and easy replacement of inserts. An adjustable handle is included.